When researching different solar power setups, you’ll probably come across the grid-tied solar system, otherwise known as the grid-tie system. Unlike off-grid solar setups, grid-tied setups harvest energy from the sun but instead of storing that energy in batteries, they store the energy in the utility grid. Obviously, this means that you can only use a grid-tied solar setup if you have access to the grid. But why would you want to do this? Essentially, grid-tied solar systems are more affordable (they don’t require batteries) and the utilities company may even pay you for the energy generated by your home. 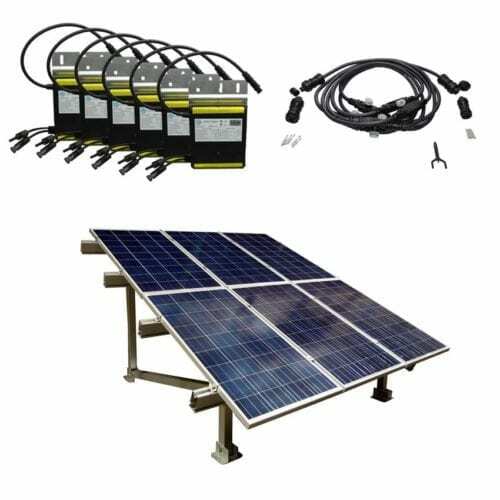 The Inverter Store is happy to help you pull together your grid-tied solar setup the easiest way possible using our grid-tied solar kits. 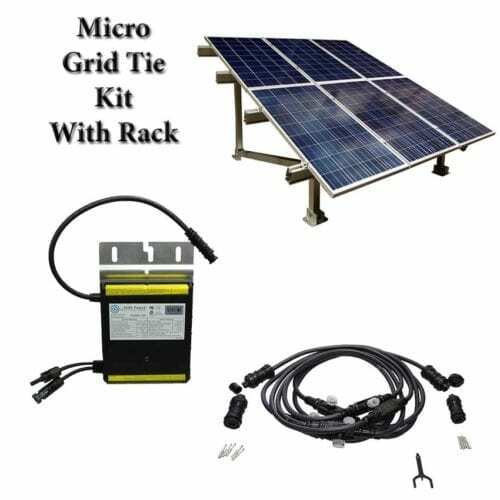 Each one comes with a micro grid-tie inverter (or several), and may include solar panels, cables and additional accessories. 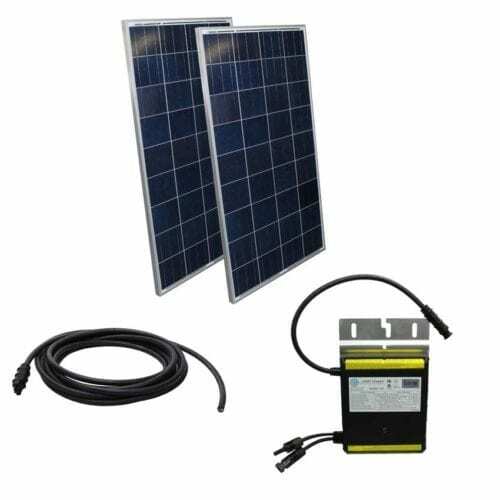 Our grid-tie inverters tie back to the grid to convert the DC power from your solar panels into regular AC power and are uniquely designed to quickly and easily install into your grid-tied solar system. 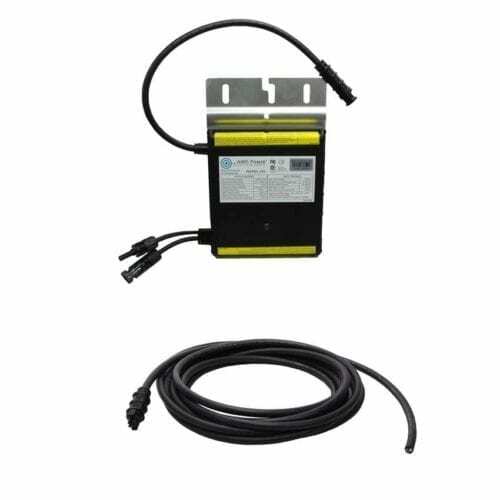 Additionally, these grid-tied inverters have an independent, modular design that lets you easily repair and replace components. 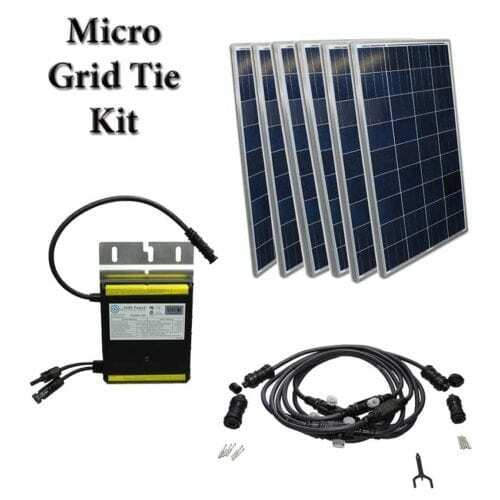 We are happy to assist you with finding the right complete micro grid-tie system for your budget and unique needs, with bundles that are designed to off-set your power bill and accommodate your small or medium setup. Pick options with panels and cables if you’d like to start from scratch or choose a grid-tied inverter only if you don’t need to purchase extras. 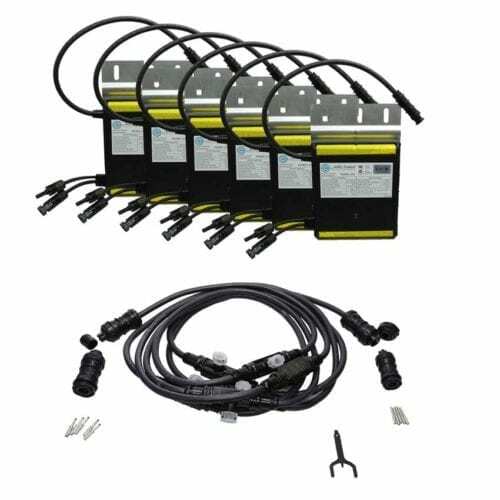 You can always get in touch with The Inverter Store team if you need to build a customized bundle or if you don’t see exactly what you’re looking for here.